Warner Bros. Interactive Entertainment today released the all-new “Hunter, Hunted” multiplayer mode available for PS3, Xbox 360 and PC, which players can access by jumping into the Batman: Arkham Origins online multiplayer mode. 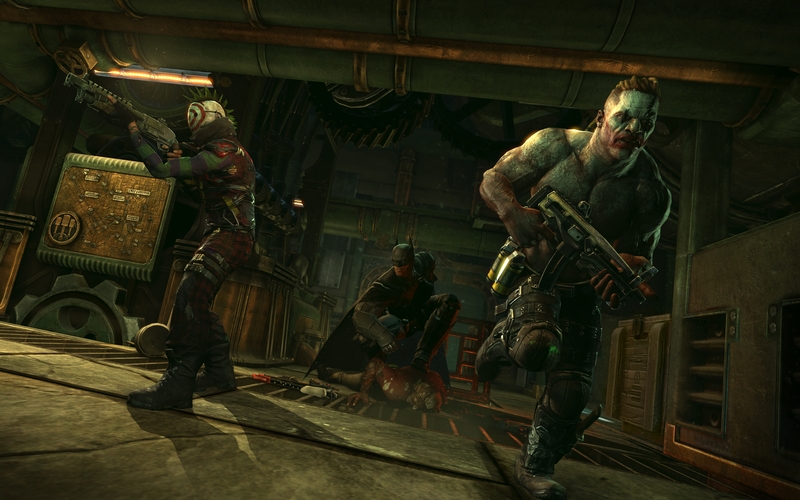 The “Hunter, Hunted” multiplayer mode brings the excitement of “Last Man Standing” to Batman: Arkham Origins. The new 3v3v1 mode pits three Bane thugs, three Joker thugs, and Batman against each other to be the last team standing. With no respawns, the new “Hunter, Hunted” mode takes Batman: Arkham Origins multiplayer to a whole new level of intensity with heightened tension, risk, and rewards. Whether you’ve been playing multiplayer since release or are just starting out now, this is a great time to have a go and unlock a few extra items! Developed by WB Games Montréal, Batman: Arkham Origins is based on DC Comics’ core Batman license and features an expanded Gotham City and introduces an original prequel storyline set several years before the events of Batman: Arkham Asylum and Batman: Arkham City. Taking place before the rise of Gotham City’s most dangerous criminals, the game showcases a young and unrefined Batman as he faces a defining moment in his early career as a crime fighter that sets his path to becoming the Dark Knight. As the story unfolds, players will meet many important characters for the first time and forge key relationships. The online multiplayer mode is developed by Splash Damage. This entry was posted on Monday, December 16th, 2013 at 5:27 pm and is filed under Action Adventure, Mature, National News, New Releases. You can follow any responses to this entry through the RSS 2.0 feed. You can leave a response, or trackback from your own site.